Premier Rachel Notley says the move isn't meant to punish B.C. for delaying the Kinder Morgan pipeline expansion. Alberta Premier Rachel Notley speaks during a press conference on Parliament Hill in Ottawa on April 15, 2018. EDMONTON — The Alberta government has introduced legislation that would give the energy minister power to restrict the flow of oil, gasoline and natural gas leaving the province. 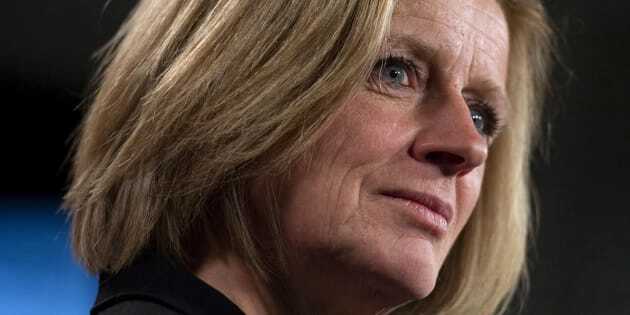 "The bill sends a clear message: we will use every tool at our disposal to defend Albertans (and) to defend our resources,'' Notley said Monday before introducing the proposed law in the legislature. Alberta Premier Rachel Notley is applauded by her caucus at a press conference to announce new legislation giving Alberta the power to control oil and gas resources in Edmonton on April 16, 2018. "I'm not counting on Alberta taking extreme or unlawful actions, but if they do we're prepared to defend British Columbians' interests with every legal means available and in the courts,'' he said. "We know, as I'm sure they know, that the constitution forbids discrimination around energy between provinces,'' Eby said. Alberta United Conservative Party Leader Jason Kenney said he's glad the government appears to have followed the party's suggestion to "turn off the taps,'' to demonstrate real economic consequences. UCP Leader Jason Kenney introduces his leadership team in Edmonton on Oct. 30, 2017. Indigenous leaders and environmentalists march to protest Kinder Morgan's Trans Mountain pipeline expansion in Burnaby, B.C. on March 10, 2018. "That might be the point at which we're going to have to be a lot more strategic around what products get shipped to what markets by what means,'' she said.